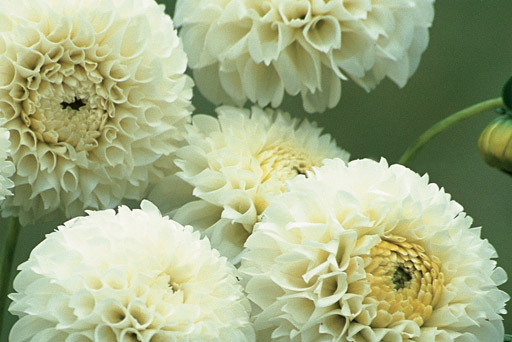 Chrysal originates in The Netherlands, the worlds leading country in floricultural industries. Our company started in 1929, at first focused on Pokon plant food. In the early fifties the company added flower food to the product range by importing Chrysal products from Belgium. A few years later, Pokon & Chrysal merged into one company. Since then, we have come a long way. Chrysal has many years of global experience in the floricultural industry and we have proven ourselves to be the trendsetter in flower care. Our supply chain management approach has improved worldwide trade and is the key to high quality bouquets and satisfied consumers. 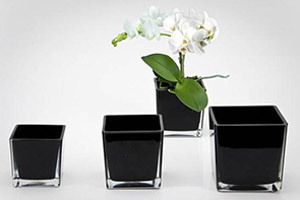 Our vase life guarantee concept has been introduced by many retailers and high quality florist chains. In 2007 Pokon & Chrysal joined forces with the Swedish company Vitabric. Vitabric was one of Europe’s prominent producers of flower food, well known from their innovation of a slow-release flower care patch. With Pokon & Chrysal’s global presence and strong technology base, combined with Vitabric’s long innovation track record, the company strengthened its position in order to to meet the increasing customer demand for quality, customer support and innovation in the flower business. In 2007 the Pokon plant food activities were sold to a Dutch investment company. In doing so, our official name changed to Chrysal International B.V. Our head office is located in Naarden, The Netherlands. We have offices in Europe, the United States, Colombia and Asia and our products are available in over 60 countries. Chrysal takes pride in creating excellence in care for cut flowers. We care for flowers, from harvest until the moment they bloom in a vase. For each phase in the life of a cut flower, Chrysal offers just the right product for long lasting beauty.Our mission is clear: “Chrysal wants to ensure consumer satisfaction with every flower purchase by providing our business partners with total flower care solutions”. Key factors in realizing this mission are innovation and partnership. 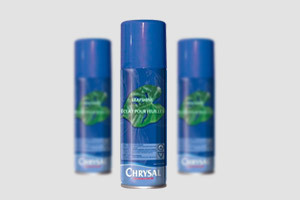 Chrysals extensive and continuous research has led to a broad range of products, ensuring optimum quality and longevity of every bloom throughout the flower chain. Our goal is to offer the flower the best possible care, so it can develop almost as if still nurtured by mother earth. Innovation is a continuous process at Chrysal; we strive for constant improvement. Successfully, we dare to state, given our market leadership and the fact that our products are sold in over sixty countries worldwide. Research is the key factor of our success. In our laboratory in Naarden we use state-of-the-art technology to create products that improve the longevity of flowers. Product development and improvement are the main tasks of our R&D department. Our research methods and flowering test room are officially recognized by the Ministry of Agriculture, Nature and Food Quality. It is our mission to be the best partner in post-harvest flower treatment. Our service focuses at improving quality, to help you satisfy the needs of your clients and increase your sales. We can support you in improving the flower quality and waste reduction, thus lowering costs. Partnership requires service at the highest level. We service all parts of the flower chain and offer tailor-made products, concepts and solutions worldwide. We give you our best, especially in sharing our extensive knowledge of flower treatment. From codes of practice, audits and waste management programs to the Chrysal Academy, our online training program on flower care for supermarket and flower shop employees, florists and students. Our knowledge offers you the best possible return on investment. Next to the needs of our customer, we also focus on improving quality, supporting the environment and personal growth within our activities. Chrysal wants to reach her goals in a sustainable way. Through the use of Chrysal products, the life of flowers, plants and foliage are lengthened and as a result the waste within the total floral and/or houseplant chain is reduced. Our care products and support services are essentially a benefit towards sustainable business. We know that our products, next to their primary function, also have their impact on the environment and minimising this impact is a key part of our strategy. We have planned activities and projects proactively contributing to this reduction, now and in the future.